US President signs waiver on law requiring relocation of US embassy to Jerusalem because not all requirements have been met. 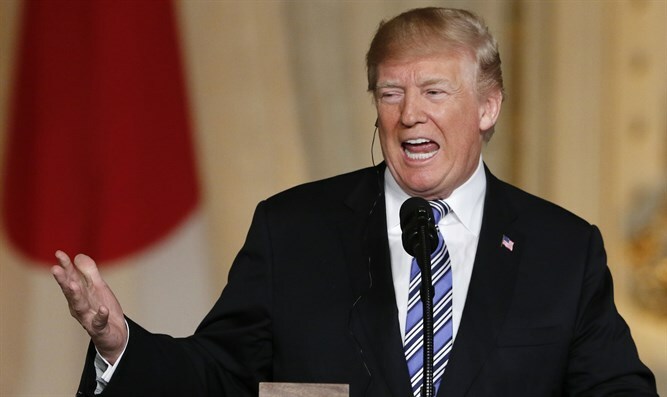 President Donald Trump signed a six-month waiver that suspends the law that calls for the U.S. Embassy to move to Jerusalem. Although the new Jerusalem Embassy was dedicated last month, not all of the requirements of the Jerusalem Embassy Act have been met, including moving the ambassador’s official residence from Herzliya to Jerusalem, according to a statement issued by the White House. U.S. Ambassador David Friedman owns a private apartment in Israel’s capital city. The law has been on the books since 1995, but every president since has waived its provisions rather than risk a diplomatic crisis over moving the embassy to what Israel considers its capital. Trump upended that status quo, but has still signed the waiver three times since taking office. Trump has called moving the embassy to Jerusalem one of his most important foreign policy acts as president.